Ellis Lewis, age 93, of Brooten, died Wednesday, January 23, 2019 at the Belgrade Nursing Home. Funeral services will be held at 12:00 p.m. on Monday, January 28th at Trinity Lutheran Church in Brooten with Pastor Steve Bovendam officiating. Visitation will be from 10:00 am until the time of the service. Interment will be in Trinity Lutheran Cemetery in Brooten. Arrangements are with the Hoplin-Hitchcock Funeral Home in Brooten. Ellis Lyman Lewis was born December 25, 1925, to Bernard and Clara (Gibbs) Lewis in Watertown, South Dakota. When Ellis was a small child his family moved to Hoffman, Minnesota, where he attended country school. On April 14, 1944, Ellis was inducted into the United States Navy. He served his country until he was stricken with pleurisy and was medically discharged. After his discharge, Ellis met Doris Nelson in Minneapolis, Minnesota. Ellis was a member of Trinity Lutheran Church in Brooten where he was baptized and confirmed before marrying Doris there in 1946. Ellis and Doris made their home in Brooten and were blessed with six children. They shared 71 years of marriage before Doris passed away June 25, 2017. 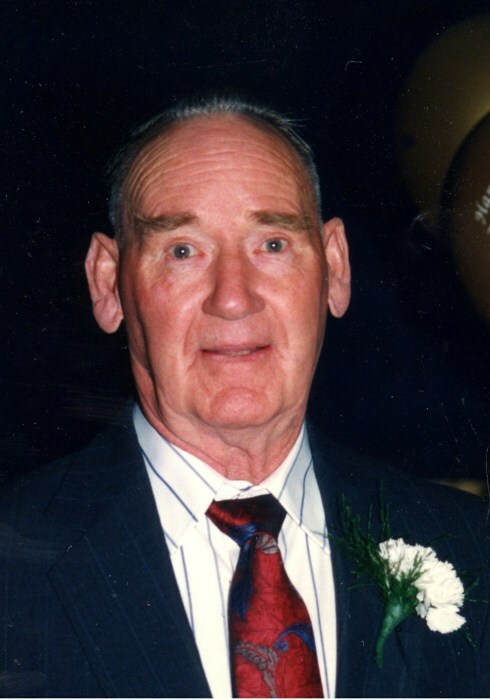 Ellis worked as a truck driver for several road contractors until he went to work for Mark Sand and Gravel of Fergus Falls. He remained working there for 32 years, until he retired. He also worked part time for different farmers in the Brooten area and after his retirement he worked part time for the City of Brooten. He enjoyed playing softball, hunting, fishing, trapping and visiting with family and friends over a cup of coffee. He especially loved spending time with his children, grandchildren and great-grandchildren. Ellis was a long time member of the Brooten American Legion Post #288, where he was a member of the honor guard. He continued to live in Brooten until he needed help with his daily care, at which point he moved into the Belgrade Nursing Home. He passed away there on January 23, 2019. Ellis is survived by his three sons, Dale (Rosie) Lewis, Donald (Kym) Lewis, and Jon (fiancé, Jodi) Lewis; and two daughters, Helen Bjorge and Donna (Loren) Solbreken, all of Brooten; 18 grandchildren; 26 great-grandchildren; and 11 great-great grandchildren; two brothers, Harvey (Sue) Lewis of Browns Valley, and Bert (Sonja) Lewis of Crystal; one sister, Shirley (Robert) Nestvold of Blaine; a sister-in-law, Beverly Lewis of Ely; and many nieces, nephews, other relatives and friends. He was preceded in death by his parents; wife, Doris; infant son, Ronald Dean Lewis; son-in-law, Kermit Bjorge; one brother, William Lewis; and three sisters, Avis Novak, Kathy Webber, and Lorraine Frank.